Hotel Managers Group has worked with Madeline King since 1997. Madeline has serviced our account regardless of the size or location including marketing plans, open enrollment, and resolving problems. We have used other health insurance benefits brokers and none have matched the work Madeline does on our behalf. 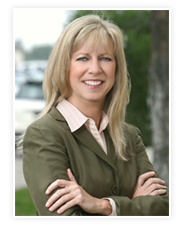 Madeline King, President, has more than 30 years of experience in the health insurance industry. With her attention to detail and industry-wide relationships, she will focus on providing a customized employee benefits program for your company, regardless of size or location, with client companies in California, the nation and worldwide. In addition to servicing her clients' needs, she created a full-service Cobra administrative department, set up propriety plans with insurance companies, and crafted employee benefits portfolios. She is knowledgeable of market and industry trends, and can simplify the arduous task of shopping for your company's benefit needs. Her clients include all industries – financial institutions, the hospitality industry, medical device companies and the entertainment industry. In addition to employee benefits brokerage, Madeline is additionally trained and licensed in Long Term Care insurance, an important coverage that provides valuable support and financial resources in the event of illness, accident or through the normal effects of aging. home :: services :: client center :: about mdk © 2008 MDK INSURANCE SERVICES, INC.